StageBuzz.com: Interview with Kelly Zen-Yie Tsai of "Say You Heard My Echo"
Interview with Kelly Zen-Yie Tsai of "Say You Heard My Echo"
Tell me about Say You Heard My Echo. Say You Heard My Echo is a spoken word poetry theater project that tracks the stories of three young Asian Pacific Islander American women in New York today. They've each been impacted by the "echoes" of 9/11 in different ways - an Indian American burlesque dancer turned activist who is a survivor of the Twin Towers, a Chinese American hip hop mc and recently returned veteran from Operation Iraqi Freedom, a Pakistani American librarian whose family has been affected by the detainment and interrogation of Muslim communities post 9/11. All of the women are grappling with these issues simultaneously with just living life and learning to love, adjust to change, hold their families together. Amidst these challenges, they each call on a woman of their respective faiths - Mary Magdalene, Guan Yin, and Aisha - who each show up to the challenge of what these women are going through in different ways. We have a fantastic cast (myself, plus Aizzah Fatima and Yainidream), director (Jesse Y. Jou), dramaturg (Amissa Miller), and producers (Nancy Kim & Andre Lancaster) for the staged reading at the Poetic License Theater Festival. Folks who really understand the mixture of theater and cabaret performance like spoken word poetry as well as the political, personal, emotional, and spiritual dimensions of the work. What was the inspiration for they play? 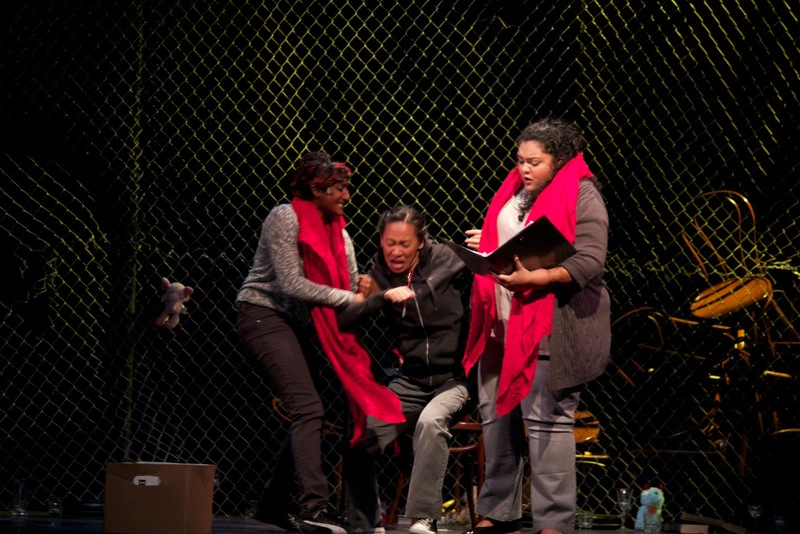 I'm proud to say that this play was commissioned by Asian American Arts Alliance (A4) and supported by major funding from Asian Women's Giving Circle, with additional support from NYU A/P/A Institute and Flushing Council for the Arts. Nico Daswani, the program manager at A4, had approached me about creating a project that would explore ideas of faith, womanhood, and 9/11 for the Asian Pacific Islander American community in NYC. The commission sparked a lot of my own personal interest in and passion for exploring how spiritual life shows up in contemporary life today in worlds as diverse as burlesque, activism, hip hop, the military, how we archive our histories, our families. We presented a staged reading/workshop production for their Call & Response Mini-Festival in October 2011. 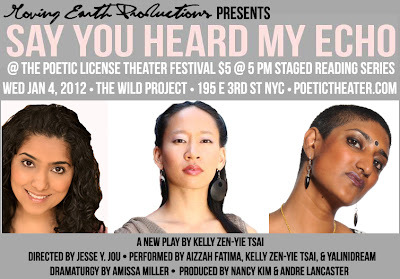 The full production will premiere at A4's Locating the Sacred Festival in September 2012 here in NYC. This reading at the Poetic License Theater Festival will be a stripped down version of the newest version of the script, so I'm very excited to see the newest revisions on their feet and have an audience's energy to feed the text and the energy of the performers. You say the characters reach out to Mary Magdalene, Guan Yin, and Aisha. What is it about these three religious figures that resonates with you? In this piece, I really wanted to explore what it means to have a personal relationship with your faith, which for me, is so often in conflict with what we have to go through in our daily lives. So really the desires of the characters led me to these three women, which led me to connect with these women in different ways. When I think of Mary Magdalene, I think of sensuality and belief even though you are maligned. When I think of Guan Yin, I think of the impossible task of showing mercy to all in a world wracked with so much evil as well as her role as the perceiver of sound. When I think of Aisha, I think of her access to knowledge and her incredible responsibility in spreading the word of the Prophet, and yet, very little is known about her. So lots of fertile ground to explore both personally and creatively. What is next for you after this festival? For Say You Heard My Echo, we will be developing and workshopping the play throughout the year in anticipation of its premiere in September 2012, so that will be a very exciting process as the designers get involved to their express their visions. The full production will be presented on a 3/4 thrust stage or in the round to really put the audience right there with the characters as well as to bring the heat and intimacy of spoken word poetry performance into the theatrical realm. For me as a solo artist, I'm also in development for spoken word theater solo dance project called Formosa, which examines ideas of beauty, Western gaze, and globalization via the history of Barbie doll manufacturing in Taiwan. That project is also directed by Jesse Y. Jou, with Jessica Chen as choreographer, and producer Chie Morita. 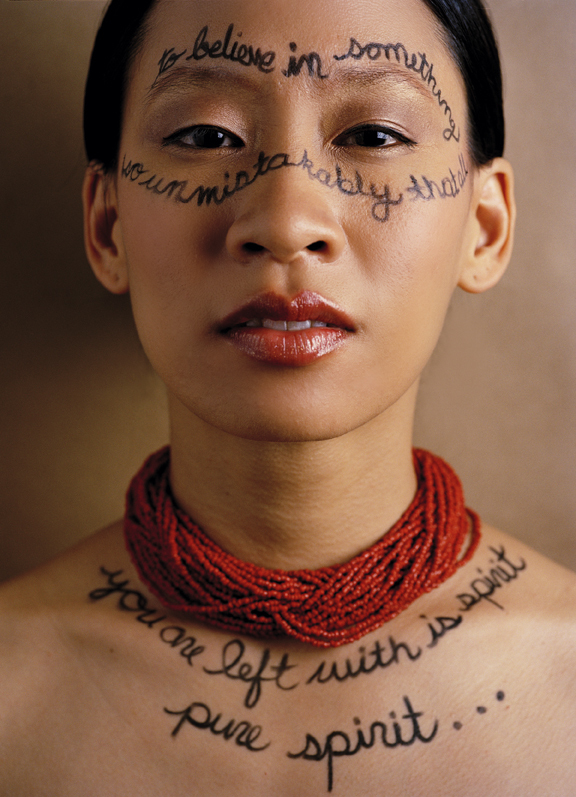 There will be a works-in-progress showing of that at New York Live Arts on January 20-21, 2012 and Museum of Chinese in America on March 15, 2012. For info on this, you can visit http://www.yellowgurl.com. All of this is in addition to my work as a spoken word poet, which usually brings me on tour all over the U.S. and abroad for roughly 40-60 tour dates per year. So far for 2012, I'll be performing in Illinois, New York, Washington, Arkansas, West Virginia, and more dates are rolling in right now. So all this plus probably a few more spoken word poetry videos before the year is through. If you had to describe your show using only three adjectives, what would you choose?